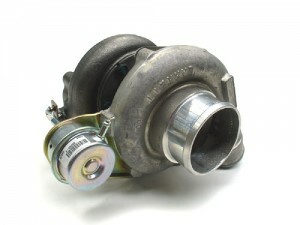 The T28 is one of Garrett’s older line of turbochargers while the GT25 (pictured above) is from the newer GT series of ball bearing turbos, both of these turbochargers have similar power ratings, and can both be had for around the same price, but how well do they deliver the power? 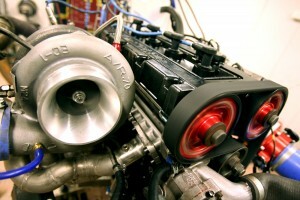 The GT25 turbo is a newer and more efficient design than the old T series, so they spool up quicker and being ball bearing the GT’s are more reliable and they are also the smallest dual ball bearing turbo in Garrett’s GT range where as the smaller units like the GT22 are only single ball bearing. 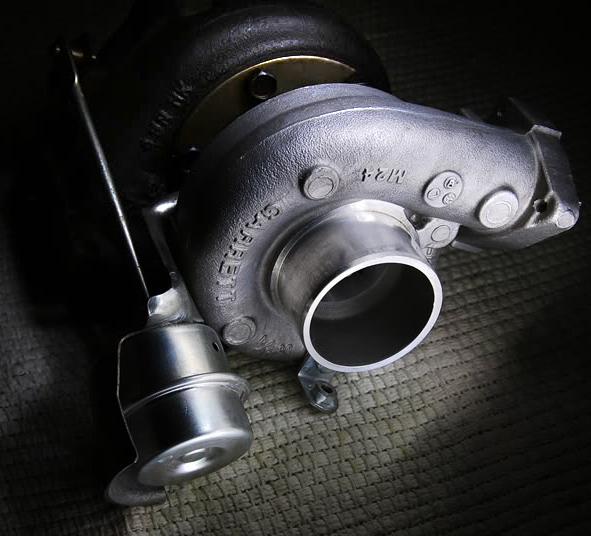 Both of these turbochargers are super responsive due to the small size and they spool quickly, you can feel the T28’s power coming on at 3800-4000 RPM but as the GT25 newer, more advanced and is a ball bearing you can really feel it coming on at 2500-3000 and pull strong all the way up to redline. Both of these being excellent street turbos for sport compacts. 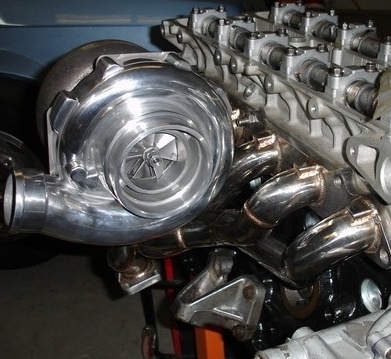 The T28 is a journal bearing turbocharger rated at 250hp however some JDM manual S15’s and S14’s came in a ball bearing version which is rated at 260hp, they also came with different A/R’s on the turbine housing. Both turbo’s are oil and water cooled, even on the ball bearing version of the T28 the maximum safe boost you can run is limited to 15 psi, anything beyond this is outside of its efficiency range and all you would be doing is pumping hot air into the motor and you are more likely to blow a hole in the piston. Also be carefull on which T28 you buy as there are many versions, the SR20 has an 0.60 A/R housing and GTR version has a 0.42 A/R, if you plan on a single turbo setup then the GTR’s 0.42A/R will be useless as you will have no top end power and blow the turbo or your motor very quickly. You can’t really buy a T28 new but they can be picked up for around $500 second hand. 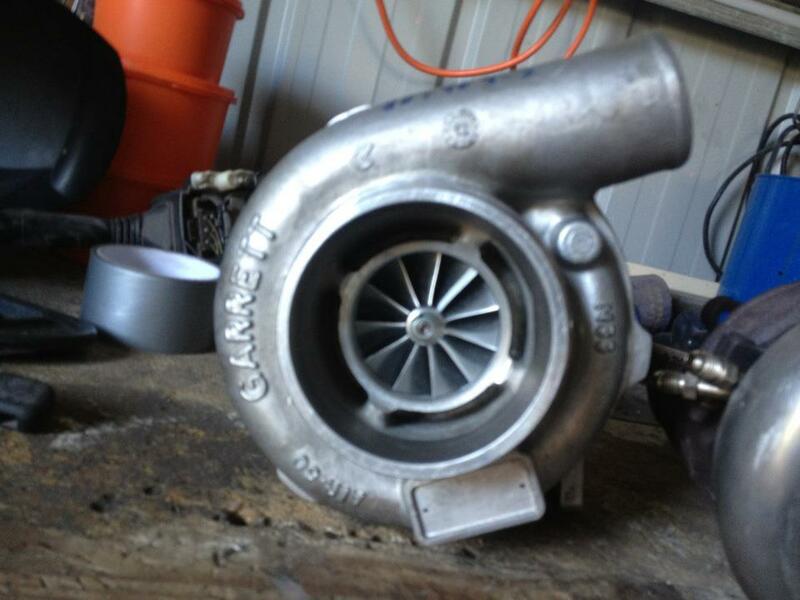 The GT2554r is dual ball bearing turbo that is rated at 270hp but has seen figures on mildly work SR20’s of 300hp and has a maximum boost pressure of 18-20 psi, which it a lot of boost for a small turbo, its super responsive and really spools early and not to mention its also highly reliable, brand new you can expect to pay around $1500 and it’s a bolt on upgrade so no messing aroud. Again the turbo you choose should be depending on your mods and goals, if its only a street car with nothing but a pod filter and blow off valve then I would suggest the T28 as they are cheap and easy to find and make a great replacement if you have blown you T25, but if you plan on installing or already have supporting mods such as a larger intercooler, dump pipe and ecu/ tuning upgrades then the GT25r is certainly the turbocharger for you. You hear a loud whistling noise followed by a BA XR6 turbo nailing past you, that’s Garrett’s ball bearing GT3540 working hard, the GT3540 has to be one of the best matched turbos to a production car since the CT26 on the MR2 and Celica, producing a nice 320hp with only 5psi of boost (on the BA – BF models, FG runs 9-10psi). The housing and centre are standard GT35r Garrett gear, so anyone who thinks the GT3540 is unique then your dead wrong, Garrett doesn’t list the GT3540 as a turbocharger but the compressor housing and cartridge are identifiable to the GT35r, but the turbine housing is one of Ford’s best contributions to the turbo world, an internally gated 1.06 A/R 5 bolt housing, this is great if you want to upgrade a stock turbo on another car and keep it all internally gated for that stock appearance, a lot of people retrofit the GT3540 turbochargers to older cars such as the VL turbo or and RB25’s due the availability and reliability of the Garrett ball bearing turbochargers oh and did I mention the GT3540’s hp rating of 400hp – 600hp? The stock wastegate isn’t much chop with only a 5psi spring and if you know the rule of wastegates you should only be running a maximum of double the spring pressure, so if you plan to use a boost controller to crank up the psi then you should only be using a maximum of 10psi, but fortunately Turbosmart has a nice solution for this, the bolt on WG75 wastegate for the GT3540 with interchangeable springs depending on your desired boost level, for the same price as an electronic boost controller you have have a wastegate and spring fitted for the stock appearance and less of a defect chance. The standard Ford turbine housing is a 1.06 a/r so if you are planning to use the GT3540 on a smaller engine like an SR20 you might want to change to a .86 or .63 housing for better response and quicker power delivery. The advancements of ball bearing and billet compressor wheels, did I hear someone mention garrets new GTX range of turbochargers? Anyone who is looking at a faster spooling long lasting ball bearing turbo with power goals of 450HP – 600HP, then you just can’t look past the GTX3076r from garrett, featuring a billet compressor wheel with 11 full height blades that will spool around 500rpm quicker than the older GT3076r. Now if you take a closer look at one of the older GT series and other similar turbos from the late 90s they run full heights next to a inner set of half heights, running full height blades will give a turbocharger a higher HP rating but you pay for it in lag due to the heavier compressor wheel, but this problem is solved by changing the wheel from cast to billet. The new GTX3076r has a very similar flow rating and compressor map as the GT35r but with out the need for a larger A/R on the exhaust housing for the higher HP so it spools a hell of a lot quicker. 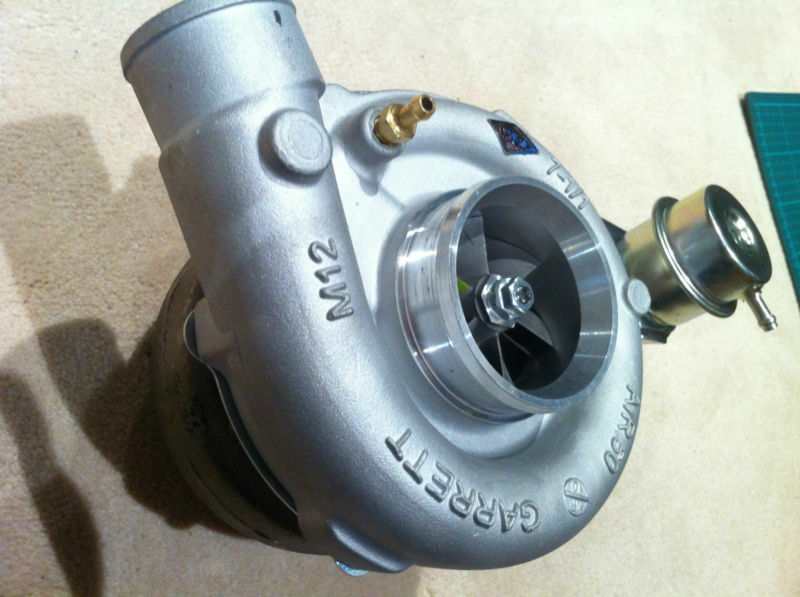 The GTX series of turbo’s are sold as a compressor cover and CHRA, so you will need to get your own turbine housing, the housings are the same as the old GT series in the case you are upgrading from a GT3076r then you are able to keep the same housing, but if buying new you do have the option of 4 bolt, V-band, twin scroll, internal gate, .63 A/R, 0.82 A/R, 1.06 A/R. 58mm 76mm 58 0.60 60mm 84mm ?? Garrett’s GT40 just screams out potential when your glancing into the compressor inlet. Garrett has always done a great job at engineering turbo’s especially for the jap crew, however the GT4088r is a funny turbo because it’s rated at 370 – 650hp but it’s recommended for use on 3.5 – 5.0L engines, so it would be ideal for 6 cylinders or larger, I did find it funny that after doing research we found a lot of Honda boys running the GT40’s. Again a straight forward set up like all Garrett’s mid range turbos, oil and water cooled CHRA, external waste gate, T4 flanged twin scroll turbine housing, it also does feature a ported compressor housing to increase protection against surge. Being such a large ball bearing turbo and for its price it certainly is a steal, great for any low RPM large displacement engines, but I would not recommend it on a Honda Civic. The Garrett GT30R is a entry level ball bearing turbo for pro-street, being ideal for small to medium engines 1.8L to 3.0L looking to produce up to 500hp. Inlet flange is standard fitment with a T3 flange on the entry and V-band of 4 bolt 2.5″ compressor outlet, oil and water cooled center, it also features a open T3 turbine flange for Internal or External wast gate depending on which exhuast housing you choose, depending on your engine size and desired spool there are three different compressor wheel variations available with 0.63, 0.82 and 1.06 A/R. Some people have fitted these to SR20’s that have produced 400rwhp and nailed 11seconds down the quarter and producing up to 26psi of boost. Garrett ‘s ball bearing technology is incorporated into the GT30r and has been proven to make this turbo spool 15% faster than the journal bearing equivalent. It is basically a smaller variation of the GT35r and very similar in design and price, the two choice between the GT35R and GT30 should purely come down your goals of power. 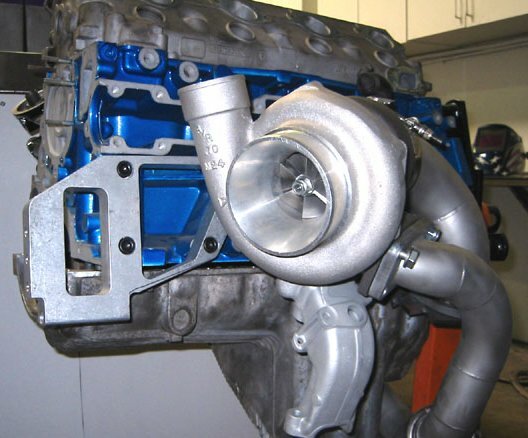 The Garrett GT35r Turbocharger is by far one of the most reliable turbochargers rated at 700hp it is not for grandmas corolla, is it ball bearing turbocharger similar to the GT28rs, the compressor is a High Performance BCI-18 and it has UHP Turbine sounds like jargon to most people but plain and simple if mean this turbocharger will pack a punch and boost up to 30psi like a hot knife going though butter. It is and Exellent turbocharger for highly modified large 4 and 6 cylinder engines, and you can purchase them stand alone and in high end turbocharger kits, they are even seen to be used as twin turbocharger setups on V8 engines, Fitting is pretty standard once again with a T3 turbine inlet flange and 4-bolt turbine outlet flange (also known as the dump pipe) for standard housings other wise there are differnet options turbine housing options. With the 740902-10, 740902-11, and 740902-12 variations of turbine housings have a 90mm V-band outlet. Heat soak is an issue in all cars that why we use the turbo beanie but when you go to the extreme and have the heat, its certainly not a problem because the turbine housing on the GT35r is cast from high-nickel “Ni-Resist” material which is one of the most heat tolerant materials available, and staying cool isn’t an issue as this ball bearing turbocharger runs a oil & water-cooled bearing system. The Garrett GT2860rs is the cousin of the GT28r, being one of the most sought after ball bearing turbochargers for its price and reliability it was dubbed the “The Disco Potato”. Recommended to be used on 1.8L to 3.0L engines it is a common upgrade on most SR20, CA18, 4AGE and 3SGTE engines, It is great for smaller displacement engines making up to 360hp, has a max boost of 24psi and for the price of one of these baby’s in a Turbocharger Kit you couldn’t ask for more. Being a ball bearing and water cooled turbo you can look only expect reliability on a the GT28RS, Fitting is fairly common with its T25 Flange that is available on almost all aftermarket manifolds, Quick spool and high boost like all Garrett’s wonderful creations of course is easily found in the small turbo that is internally gated at 14.7psi and surprisingly has a maximum efficiency of 72% at 22psi, being small its is great size for applications with spacing constraints.